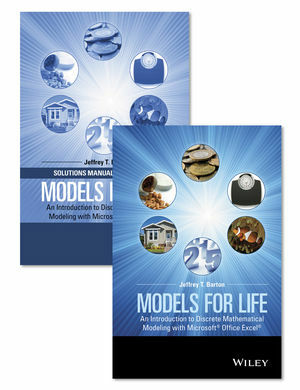 The book is ideal for undergraduate non-mathematics majors enrolled in mathematics or quantitative reasoning courses such as introductory mathematical modeling, applications of mathematics, survey of mathematics, discrete mathematical modeling, and mathematics for liberal arts. The book is also an appropriate supplement and project source for honors and/or independent study courses in mathematical modeling and mathematical biology. 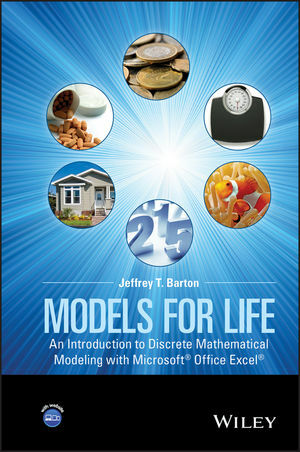 Jeffrey T. Barton, PhD, is Professor of Mathematics in the Mathematics Department at Birmingham-Southern College. A member of the American Mathematical Society and Mathematical Association of America, his mathematical interests include approximation theory, analytic number theory, mathematical biology, mathematical modeling, and the history of mathematics.